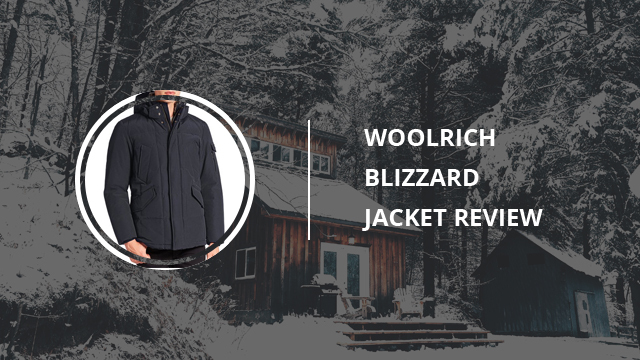 Woolrich is a company established in 1830, by John Rich. The original wool mill was located in Pennsylvania, whereas now there are multiple stores in many different countries, including European ones. This brand is renown for their high quality clothes and stylish designs, that remain elegant, apart from being practical and comfortable. Their very first popular item, was the Buffalo check shirt, a red and black checkered shirt, that is still a trend in today’s fashion. In this article, we will be reviewing a down jacket of theirs, the Blizzard jacket for men, made of natural feathers and comes with a lining of natural fur. There is plenty to say about this jacket, including its style, its purpose, and especially the material and other technicalities, all of which, will be detailed further down. 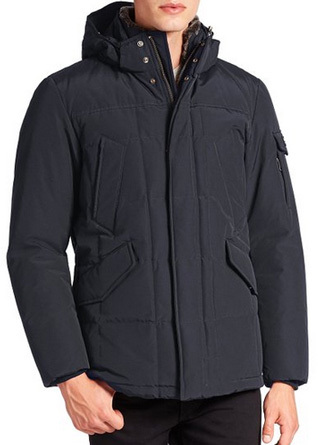 Being a down jacket, it is suitable for cold temperatures and dry conditions, however, since the outer shell is water-resistant, this jacket can be worn in rain, as well as snow. The style of it is casual, with a very classy look, which makes it easy to match with any outfit, because it will not overpower the look you are going for, and neither will it look out of place. This jacket truly reflects the quality of its materials, because it looks very high-end and most definitely feels that way when wearing it. It’s a comfortable jacket, that you can wear in any occasion, especially if you intend on being outside for extended periods of time. The quilting is a variation between wide and tall spaces, that are also placed on the zipper cover, fully insulating the jacket. As for pockets, this jacket has plenty: two hand warmer pockets on the sides, two on the chest and one on the left sleeve. 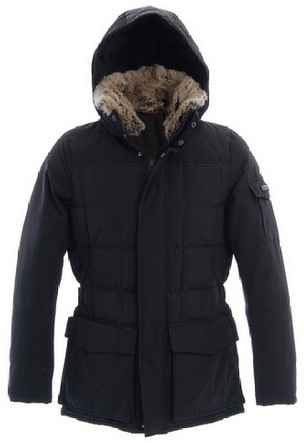 The hood is detachable, and it comes with a lining of natural curly ram fur or straight lamb fur, which is also detachable and can be worn according to preference. It protects both the head, as well as face, especially in snowy weather. There are quite a few things to mention, when it comes to this jacket’s material combination. First of all, the quality is indisputable, which is evident in both the look, as well as comfort of the jacket. It’s very durable and resistant to both weather and environmental conditions. 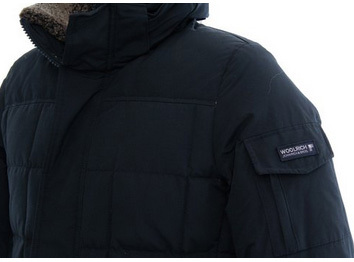 The outer shell is made of Woolrich iconic Cotton and Nylon fabric, with 60% Cotton and 40% Nylon. 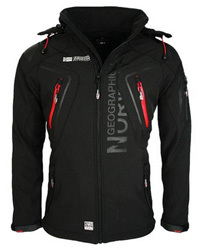 The inner lining is 100% Nylon, ensuring breathability as well as insulation, for the heat provided by the down filling. The filling is 80% Grey duck down and 20% Feather. It has a special Teflon finish, which adds extra resistance to wind, rain and also snow. The insulation it comes in is of the best design, as it will keep all the warmth on the body, without causing any overheating problems, due to the high breathability of the materials. 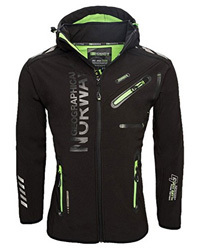 The main zipper is weather resistant, and it comes with a cover that buttons with snap buttons, all the way to the collar, which serves as extra protection against weather conditions. As for color selection, this jacket comes in Dark Navy, which looks good in most outfit combinations, especially those a bit more formal. When it comes to those who prefer being casual, it goes great with pants, especially jeans, since the color matches nicely to the classic blue jeans color. The lack of logos is another thing that adds to this jacket’s look. There is only one, on the flap of the left sleeve’s pocket, and that’s it. Those who have tried any Woolrich product can certainly attest to their quality, be it in material, comfort, durability, as well as style. This jacket is no different. Users comment on its comfort, first and foremost, expressing how light and easy it is to have it on, even if it is for long hours. 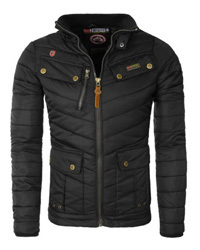 Warmth is another feature where this jacket excels, with the natural down feathers providing plenty of heat to withstand even sub zero temperatures. As for the looks, it helps that the color is neutral, goes well with almost anything and several are satisfied with how well-dressed it makes them look. The lack of overbearing logos is another plus. 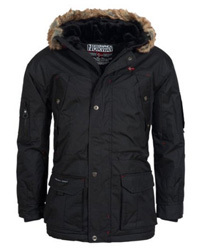 If you do not mind natural down and fur, and live in areas where the weather is not only very cold, but also unstable, then the Woolrich Blizzard jacket would be a smart choice, considering it is weather resistant, highly insulated, very warm, and durable. You can wear it on a daily basis and for many winter seasons, using it as your go-to jacket, despite the occasion or outfit. It will look stylish and feel great.